-Does measurement of "patient experience" in the Triple Aim parallel the limited meaning of "prevention" in health system outcomes? Preventive treatment: when doctors are "more like a life insurance sales team"
"We just won a seismic victory, giving nutrition professionals the same rights as Registered Dietitians to provide nutrition services in hospitals." So began an email from Mike Stroka, JD, MBA, MS, CNS, LDN, executive director of the Board of Certification of Nutrition Specialists. Stroka referred to a "landmark federal ruling [by the Center for Medicare and Medicaid Services (CMS)] that all qualified nutrition professionals-not just Registered Dietitians-may order therapeutic diets in hospitals." This, Stroka says, "has leveled the playing field between nutrition professionals and Registered Dietitians." It may not be only the CNS field that benefits. The CMS decision "embraces the right of a variety of highly qualified nutrition professionals-such as Certified Nutrition Specialists to practice in hospitals, and rejects the assertion that Registered Dietitians should have an exclusive right to provide medical nutrition therapy." He concludes: "This is an important moment for the nutrition profession and for the health of Americans." The organization's release on the breakthrough is here. Comment: This does appear to be a decision that can properly be called "landmark." It will be interesting to see, for instance, if a practitioner group such as naturopathic physicians, with their extensive training in therapeutic nutrition, can be included in guiding this new depth and diversity of hospital nutritional services to patients. Washington, DC-based integrative health and medicine writer and consultant Taylor Walsh, an Integrator adviser and columnist, sends this notice: "In early September, the Integrative Healthcare Policy Consortium (IHPC) plans on rolling out a CoverMyCare website in support of its consumer campaign to educate the public and state officials about Section 2706 of the Affordable Care Act: 'Non-discrimination in healthcare.' Because correct implementation of the law lies in the hands of state officials, CoverMyCare will provide contact information for those officials and advocacy tools as a way to help patients and practitioners persuade their states to make sure that insurers comply with the law." Walsh continued: "The web site will include a section on 'Integrative Health in the US,' that will explain the poorly understood basics of the CAM disciplines, the education of its practitioners, patient stories, and examples of the growing use of integrative practice across the country, including in US Military and Veterans Health." Walsh adds that "the project will engage consumers, patients and practitioners through social media and crowdsourcing and to emphasize the broad promise of Section 2706 which is reimbursement for the services of all licensed health care practitioners." The initial stages of the project are being funded through grants from Bastyr University and the American Massage Therapy Association (AMTA). Comment: First, major kudos to Bastyr and AMTA for their policy leadership. In the tenure of Bastyr's president Dan Church, PhD, which he announced will end June 2015, B astyr has co-sponsored IHPC's major Affordable Care Act and Beyond: A Stakeholder Conference on Integrated Health Care (Report) (2010), been a stalwart partner organization to IHPC and has also been a steady, significant contributor to the Academic Consortium for Complementary and Alternative Health Care (ACCAHC), an organization that has also been engaged in multiple policy-related efforts. (Disclosure: I am involved with ACCAHC.) Meantime, terrific to see AMTA stepping up after its slow start in support of that significant portion of its members who are involved in third party payment for their services. Second, credit Walsh who saw this gaping need, conceived and pushed this campaign. While the campaign's initial duration is just six month, here's hoping CoverMyCare will pick up steam, with crowd-funded and other support. The consumer may be the necessary countervailing force to insurer intransigence, and we need to up their involvement and keep at it. We can surely guess that the antagonism in the insurance industry to doing what Congress intended will certainly outlast 6 months. The Integrator has previously referenced the work of the Integrative Healthcare Policy Consortium (IHPC), in collaboration with MPA Media and others, to respond with exceptional thoroughness to the call from US Health and Human Services for information regarding Section 2706, NonDiscrimination in Health Care. IHPC's executive director Alyssa Wostrel, MPH, shares that IHPC's 16-page response is here to HHS March request through the Centers for Medicare and Medicaid Services (CMS). A key point in the IHPC response is that, via a survey of 5300 licensed practitioners, "85% said their patients were rarely, irregularly, or incompletely successful in obtaining reimbursement for the healthcare services they provided and coded on a superbill." IHPC additionally reported that "problems also exist among providers who contract with a third-party payer." They found that 21% report that "patient access to healthcare services has been denied since January 1st, 2014." Among the seven primary recommendations in the response is the following: "Clearly provide, in the newly-issued guidance, that commercial insurers must allow all types of licensed providers to participate in their networks and to clearly define terms such as network adequacy." Comment: Good for IHPC to take the request for public comment as a significant opportunity to educate HHS on obstacles to patients is receiving the options that Congress intended. With this response, and the coming CoverMyCare, IHPC continues to be "the little engine that could" for all of integrative health and medicine policy. Why do you know who might contribute to the organization, or the campaign? The Leadership Program in Integrative Healthcare at Duke University, one of the two legacy projects of the Bravewell Collaborative , has announced that it is open to applicants for it first class of would-be leaders in "integrative healthcare." Described in marketing materials from the Duke University integrative medicine program as a "robust, online" program, Duke's team seeks students who are attracted to becoming "a new type of leader for the future of medicine - leaders who can transform practice and improve the health of the nation by fostering a personalized approach to comprehensive medical care that optimizes health." The program is led by Adam Perlman, MD, MPH, who also serves as Duke's associate vice president for health and wellness. Pricetag is $25,000, with some financial assistance available. The Duke team anticipates an initial group of 35 for the February 2015 program initiation. Advisers to the program include Bravewell's medical director Ben Kligler, MD, MPH, executive director of the Arizona Center for Integrative Medicine Victoria Maizes, MD, Elizabeth Goldblatt, PhD, MPA/HA, an academic integrative medicine consultant and chair of the Academic Consortium for Complementary and Alternative Health Care, and Anne Nedrow, MD, MBA, who was originally partnered with Perlman on the project. Click here for more information about the program. Click here for the application. Comment: I'd call this program a crap shoot. This statement has nothing to do with how good the program turns out to be. The questions are: will there be sufficient health systems interest to either fund participation of leaders or to hire fellows who decide to spend the $25,000 out of their own pockets? And will it attract many from outside of MD/DO medicine, to whom it is open? No question, we need the kinds of leaders this program is intended to develop. When Don Berwick, MD spoke at length last December about the need to refocus our system on "health creation," he urged a shift "more radical than we have imagined." Berwick notes that we don't know how to do it yet. Perhaps this program will hit the sweet spot of the emerging interest of medical complexes in highlighting other values. I hope this program is one day known as a factory for leaders who have helped us cross the chasm from medical industry to a system focused on health creation. Side-note for non-MDs/DOs: the program is open to applicants from diverse fields. An additional question is whether job openings will be available for a chiropractor, nurse, naturopathic doctor or acupuncturist who lays down the time and the $25,000. The International Association of Yoga Therapists (IAYT) has announced the first accreditation of yoga therapy training programs that meet its educational standards. The IAYT media release notes that member schools of the IAYT that achieved accreditation are in three countries: United States, Canada, and New Zealand. They include Ajna Yoga Centre, Ananda School of Yoga and Meditation, American Viniyoga Institute, Essential Yoga Therapy, Inner Peace Yoga Therapy, Wellpark College of Natural Therapies, YATNA (Yoga as Therapy North America), YogaLife Institute, Yoga North International Soma Yoga Institute, Yoga Qigong Academy, Yoga Therapy RX LMU, and Yoga Therapy International. IAYT CEO John Kepner celebrates accreditation as a culmination of 5 years of work and "an historic milestone in the evolution of yoga as an adjunctive therapy in complementary and integrative medicine." The accreditation threshold is presented by Kepner as "the first of what will be a two-pillar self-regulation effort spearheaded by the IAYT" with the second "certification of individual yoga therapists." In a follow-up note, Kepner indicated that additional programs are in the process of application for accreditation and many other member schools are considering it. The IAYT's cut-line on its website is "Bridging Yoga and Healthcare." Comment: As an observer, participant and reporter involved in the maturation of this field in the United States, this is indeed a moment to celebrate. Bring a few dozen gurus from distinct yoga lineages into one room to collaborate for cause may trump all other talk about the challenges of "herding cats" in these fields. Here's to good luck with the credentialing pillar. The proposed re-naming of the NIH National Center for Complementary and Alternative Medicine is a powerful cultural moment for the field. In this article, Naming NCCAM 2.0, integrative health and medicine writer and consultant Taylor Walsh documents the dialogue on the topic at the June 2014 meeting of the National Advisory Council for Complementary and Alternative Medicine - that may shortly also be renamed. Here are views of Josephine Briggs, MD, Brian Berman, MD, Tracy Gaudet, MD, Scott Haldeman, MD, DC, Dan Cherkin, PhD, and others. As Walsh reports, the MD-dominant council preferred to let go of "complementary" though Briggs defended the need for inclusion suggested by this term, as did Haldeman, the one DC on Council. Briggs, Berman, and Gaudet were among those who argued for an "integrative health" focus. Comment: This topic is juicy, and provocative. In my response to Walsh's excellent report, I noted the limits of the dialogue now that the non-MD "CAM" professional representation has been reduced from 50% plus in the early years to 6% of those presently on the Council or 11% when Haldeman is included. I also challenge the apparent assertion that "integrative" is a term better recognized by consumers than "alternative." (The agency is ultimately supposed to serve the people and thus calling it something that is recognizable makes a difference.) Finally, I explore one member's comment about how the agency's move to "integrative" alone can "erases the conflicts" that may come inside health systems and academic centers, and perhaps inside some of these MDs/DOs body-minds, when "complementary" or (heaven forbid) "alternative" is in the title. Is this airbrushing from our history? A recent e-newsletter from the NIH National Center for Complementary and Integrative Medicine (NCCAM) featured a blog-post from the highly-regarded director of the division of extramural research, Emmeline Edwards, PhD. Edwards wrote on the May 2014 iteration of the International Research Congress on Integrative Medicine and Health with her comment focused on the extensive poster displays: "I was brought to the realization that we could strive for better balance in the science featured in the IRCIMH poster presentations. The clinical research posters outnumbered the basic research presentations 3:1, and research on mind and body strategies dominated the research landscape." Edwards then adds: "One concern is that many clinical research projects were not developed from adequate mechanistic studies and, hence, the outcomes from these projects may not be very informative, provide a well defined path for the next study, or give direction for future research programs." She encouraged responses. Comment: The posting troubled me, as it did the two respondents who speak to the value of qualitative methods and clinical outcomes for this arena. It is curious that Edwards brought up all the mind-body work in this way since mind-body represents the lion's share of the clinical work NCCAM has funded. Researchers are no dummies and tend to follow the money. More importantly, the density of the clinical posters, relative to basic science, reflects what investigators and clinicians think requires research. The posters may be viewed as a litmus test of the community. One would hope that NCCAM should be responsive to this rather than impose its view that complementary and integrative medicine should focus elsewhere. Perhaps NCCAM could move toward clinical interests (that is a kind way of saying what patients care about) rather than the field move toward NCCAM's kow-towing to NIH's love of basic research and mechanism. In addition, clinical outcomes are much more clearly useful to Section c of the NCCAM mandate, the principal guidance from Congress, which may be considered another voice for what patients care about. Frustrating. I wonder what Edwards, Briggs and their NCCAM team find as priorities if they were to assume that the call of Don Berwick, MD for something "more radical than we have imagined" also applied to NCCAM's research agenda. Surely they would move more rapidly toward the urgency of clinical research and real world solutions. Comment: Amato and his team have served as mentors to others, once they found models. I wrote on his guidance more than once, including, in Inner Harmony's Winding Road toward Health and Profitability. Their Business Strategies Applied to an Integrative Medicine Practice: Case Study on Sustainability was published in Integrative Medicine: A Clinician's Journal. Ultimately, Amato faced the integrative medicine entrepreneur's paradox: what if one's integrative care business entity returns enough capital to pay staff, survive and serve, but not enough to pay back early investment, and provide profit to allow for expansion? Amato's pleasure in service to the Scranton community of which he is a member kept Amato the entrepreneur at bay for a decade. The time finally came for a change. Good luck in your next ventures, Peter! Comment: This will be an exceptional position for the right candidate, in an environment in which numerous explorations are underway to better integrate the Center's services in community health initiatives in Orange County. This typically monthly Integrator feature is a quick capture of highlights from the multitude for links that flow in daily via Google Alerts for "integrative medicine," "complementary and alternative medicine" and "alternative medicine." The gem here is discovering the existence of the "Reflexology Section" of the Chamber of Commerce and Industry in Slovenia. While my original focus was on integrative medicine in health systems, the later search term often nets developments from around the world. Here are 11 selections related to hospitals and medical organizations in integrative medicine, 7 from alternative and integrative medicine in community non-system practices, and 16 developments from around the world for June 1-26. 2014. A new Linked-in group has been created to develop a community of learners around the opportunities and challenges for integrative health and medicine in the post-Affordable Care Act payment and delivery system. The group is called the Project for Integrative Health and the Triple Aim (PIHTA). The title references the "triple aim" values being promoted by many in the new era: better patient experience, enhanced population health and lower per-capita costs. The group manager is Jennifer Olejownik, PhD, who holds a grant-funded position in managing the same-titled initiative at the Center for Optimal Integration: Creating Health. The Linked-in group's purpose is described as "to stimulate dialogue among all stakeholders interested in this intersection [of IHM and the Triple Aim values]such as Federally Qualified Health Centers (FQHCs), Patient Centered Medical Homes (PCMHs), health systems-based integrative centers, Accountable Care Organizations (ACOs), Worksite Health Clinics, Leadership programs, and individual educators and practitioners in the integrative health and medicine who are interested." Comment: I am involved with Olejownik in sharing information, answering questions and fomenting dialogue on this site - including a post on the Trek decision, below. Link-up and contribute! Let's learn about best practices in these emerging opportunities. 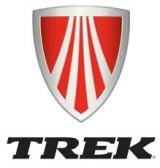 In a June 25, 2014 release, Trek Bicycles announced plans to open a new health center for its employees that includes an array of integrative services. The primary care provider at the clinic, which presents itself as a holistic and integrative model, is Katie Knipfer, PA-C, a physician assistant "with years of primary care and family medicine experience also completed the prestigious University of Arizona's Integrative Medicine Fellowship." The site will offer fee-for-service visits with a choice of an acupuncturist, massage therapist and a chiropractor. Does measurement of "patient experience" in the Triple Aim parallel the limited meaning of "prevention" in health system outcomes? Comment: Integrative health and medicine clinicians have for years bemoaned the neutered definition of "prevention" as merely forms of early diagnosis and immunizations, perhaps coupled with some late night public service announcements on wearing seat belts. What of a clinical practice that directly engages, first and foremost, treating disease by restoring health, as the naturopathic version of integrative doctors have handily put it? This limited framing of a critically important concept came to mind while working with Olejownik on the PIHTA project reported above. 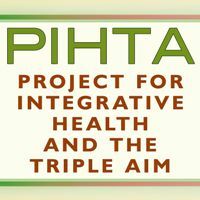 One PIHTA goal and tool is to populate a resource base with the best evidence for the value of integrative health and medicine in meeting the first arm of the "triple aim" - "enhance patient experience." Drill into the measures, however, and what you get is a concern about wait times, on the phone and in the office, courtesy, cleanliness and respect. All are remedial for a system that has lost its way. But what of the "patient experience" captured by Dan Cherkin and colleagues in "unexpected positive outcomes of CAM treatments" or the finding of other researchers that add qualitative to quantitative outcomes and find such outcomes as reduced sleeplessness, fewer allergies, higher energy, better self-efficacy, and more, as part of the routine "patient experience" of whole person care. (See Secret Sauce and Positive Side Effects in Whole Person Care.) Those with clinical practices principally located in dispensing drugs on a rapid schedule have forgotten to imagine the kinds of "patient experience" that might flow from other approaches to care giving. This positive patient experience is limited to wait times and telephone friendliness before the arrival of the prescription. Clinicians, take back the light! A good pressure point on the current move toward the values-base of the triple aim may be to boldly assert that the framing of patient experience outcomes be more broad. We are seeking to do that through PIHTA. Help wanted! "I am reading with interest and some flash-backs the whole debate about renaming NCCAM, what's in a name and are we calling ourselves and others by the right name. Among the many concerns I have as someone who has never made much money in my professional life, is the apparent separation of the 'medical industry' from 'CAM' providers, many of whom are making just as much money individually as some of the individuals doing 'medical industry' medicine. Examples include overcharging for supplements, using marginally valuable laboratory tests and a whole panoply of various treatments and machines whose value is unproven. "Now I prescribe supplements, use some of those lab tests and recommend some of the treatments that other physicians might put in the categories I have just named so I know this is a slippery slope. I just want to make the point that the 'industry' extends well into Complementary and Integrative practices. Maybe we need a name for the industry that takes money out of patients' pockets and puts it in practitioner's pockets without returning value for value. 'Valueless medicine'? or to be more positive 'Valuable Medicine'. And perhaps we should spend some time, which I think is the point of the renaming NCCAM, to REALLY look at the value people get from various practices, procedures and treatments (including of course, relationship and spiritual support) on the full span of what people are doing to address their suffering and health." Comment: In a world in which one unnecessary bypass operation can cost more than a few years of unnecessary supplements, it's easy to shrug off the lesser corruptions of business-based patient care decisions in integrative practices. I note this in my original post: "Clearly, some therapeutic choices made by all types of practitioners, including 'CAM' and integrative providers, are stimulated by concern over business returns an personal income. I think of programs for patients with more visits than may be necessary and of sales of some products or tests." Our houses are of glass, just more like terrariums than the other medical industry's sky-scraping glass homes on the hill. Still, as Hayes suggests, we can only help ourselves by engaging the practice of knowing what drives us so that we can then drive more energy toward systems of health creation. The co-founder and research leader at Boston's Pathways to Health, Elizabeth Sommers, LAc, MPH, PhD, the co-chair of the integrative health group at the American Public Health Association, writes: "Love your dedication to proper verbiage! [See Take the Pledge", noted above.] In homage to Dwight Eisenhower, my votes for nomenclature of US 'healthcare' system are: medico-industrial complex or pharmaco-industrial complex." Comment: For you who are not familiar, the Republican Eisenhower's used his farewell speech in 1961 to rail against the "military-industrial complex." A perspective on that phrases application to the medical industry is here. "When we offer statins, or any preventive treatment, we are practicing a new kind of medicine, very different to the doctor treating a head injury in A&E. We are less like doctors, and more like a life insurance sales team: offering occasional benefits, many years from now, in exchange for small ongoing costs. "The author of the British Medical Journal editorial, Statins are a mess: we need better data and shared decision making, began discussing statins as preventive drugs, with all their individualized adverse effects, and launched into general commentary about evidence needed for preventive interventions. He concludes: "Crucially, the benefits and disadvantages [of using statins or other drugs preventively] are so closely balanced that these individual differences really matter. Because of that, this new kind of medicine needs perfect information." In the fall of 2013, the American Board of Integrative Health and Medicine (ABIHM) announced that it was re-forming itself as the Academy of Integrative Health and Medicine (AIHM). In a speech announcing the new entity, the founding president Mimi Guarneri, MD mentioned three new areas of involvement beyond ABIHM's historic education and certification agenda: policy, interprofessionalism and an international reach. Changes in AIHM's board reflects this direction. Len Wisneski, MD, the chair of the multidisciplinary lobbying and education group, the Integrative Healthcare Policy Consortium (IHPC) is now on the Board of Directors. Wisneski, who is also on the Council of Advisers of the Academic Consortium for Complementary and Alternative Health Care (ACCAHC), is accompanied by ACCAHC founding executive director Pamela Snider, ND, the leader of the Foundations of Naturopathic Medicine Project, and current executive director John Weeks. Weeks, who was invited by the World Health Organization to serve on its planning team for the recently endorsed 2014-2023 strategic plan, will chair AIHM's new International Commission. In addition, the president of the now multidisciplinary American Holistic Medical Association Molly Roberts, MD has also joined the AIHM board, amidst merger talks between the organizations. AHMA board member David Riley, MD, whose experience includes membership in the international CONSORT group and development of the integrative health and medicine regulatory framework for Dubai Health City, is expected to be a key member of the International Commission. Finally, one sees a broader multidisciplinary team preparing on AIHM's October 26-30, 2014 conference in San Diego. Comment: Truly "horizontal" and mutually respectful collaboration among medical doctors and chiropractors, acupuncturists, naturopathic doctors, holistic nurses and others is an elusive goal, even as it is for medical doctors, nurses and others relegated to the periphery as "allied health." Yet "horizontal" center-allied metaphor by appreciating that, for physical medicine, a massage therapists with 500 hours of training may be the "center" of care with the rest of the interprofessional team as her allies. In regular practice, the culture and boundaries of historic, powerful, and hierarchical forces dominate. For instance, and to bring this story home, in 2009 ACCAHC approached ABIHM to add more interprofessional education to the curriculum supporting the ABIHM board certification. It was then met with in-action. Yet in my now 8 months of engagement with this group, 3 or 4 of which have been on the Board, I am very excited that a new, more respectful and robust interprofessional path in policy, education, certification and international connectivity may be formed. One hates to go too Pollyana, but I have to say that they energy that percolates is exciting. Stay-tuned! Larry Dossey, MD has published a new work that some consider his finest and most accessible: One Mind. In it, Dossey uses anecdotes to walk readers repeatedly into the great and unexplained mysteries of mind and consciousness. One by one, he asks us to consider their meaning. How does a dog finds its way home from Iowa to Oregon after being lost by a vacationing family? What makes identical twins, separated a birth, each become engineers, wear pens in their pockets and marry women named Nancy? How can an individual know, in an exact moment, that thousands of miles away a loved one has been involved in a horrible accident, or died? How does a person, post trauma, gain fluency in a language never studied? What explains the similarity of near death, fear death and shared death experiences? Throughout, Dossey , whose first best-seller was Space, Time and Medicine, weaves the perspectives of philosophers, physicists and scientists whose life work takes them continuously to the edges of all we take for granted (or granite) and who find the dismissive answers wanting. Dossey's reservation position is that there is no firmer evidence for the reductive brain-produces-consciousness postulate than there is for his one mind hypothesis. Here is the exceptional medical writer Lewis Thomas, MD, former research director at Memorial Sloan Kettering Cancer Center, as quoted by Dossey: "There is still that permanent vanishing of consciousness to be accounted for. Are we to be stuck forever with the problem? Where does it go? Is it simple stopped dead in its track, lost in humus, wasted? Considering the tendency of nature to find uses for complex and intricate mechanisms, this seems to me unnatural. I prefer to think of it somehow s separated off at the filaments of its attachment, and then drawn like an easy breath back into the membrane of its origin, a fresh memory for a biospherical nervous system ..."
Comment: This kind of reading is not my usual fare. Perhaps it caught me at a perfect moment, when my own spirit was pulled in multiple directions. Perhaps it is simply dumbed-down just right for me. Dossey believe his one mind theory explains these occurrences. I am happily journeying, with my residential agnostic on my shoulder, into his "one great mystery." I am reading in it, short section by section, as others read daily meditations. I thoroughly recommend this mind-and-outlook expanding book. 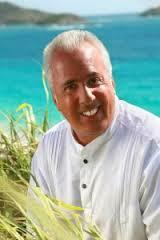 The American Botanical Council sent an e-news entitled "Senate Weight Loss Hearing Grills Dr. Oz." The piece consisted largely of a thorough June 17, 2014 report from the Utah Natural Products Alliance (UNPA) on the evening of a U.S. Senate Commerce Subcommittee on Consumer Affairs hearing on weight loss products. The hearing focused on the testimony by, and questions to, integrative medicine television personality Mehmet Oz, MD. Chair Clare McCaskill (D-MO) showed a clip from the Dr. Oz show in which Oz promoted pure green coffee as "a miracle pill that can burn fat fast." McCaskill questioned Oz's promotion of such quick fixes: "If it seems too good to be true, it is." 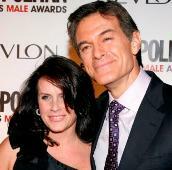 He added: "Dr. Oz, we will have tough questions about your role, the ‘Oz Effect.'" According to the ABC/UNPA report, Oz largely defended his views, conceding only that he is attempting to be more discriminating on the products he now features on the show. He recommended three directions: a quick reference list so consumers could see what products celebrities were endorsing specifically; instituting a system of whistleblowers for scam company employees; and having a new private-sector-funded bounty system to encourage revelation of scams. Related media included: NPR's Dr. Oz Scolded at Hearing on Weight Loss Scams; Associated Press' Doctor on TV Says He'll Back Off on Weight Claims; and an ABC provided this link for the archived video of the hearing. The director of the Cayce/Reilly School of Massotherapy, Dawn Hogue, MA, CMT, has been chosen to serve as the new chair of the Commission on Massage Therapy Accreditation. COMTA, the specialized accrediting agency for the massage profession, accredits roughly 90 of the field's over 1000 massage programs. Hogue replaces Randy Swenson, DC, massage program director with the National University of Health Sciences. Along-time leader in integrative oncology care for U Indiana-Goshen Health, Marcia Prenguber, ND, has left her position to take over as dean of the naturopathic medicine department at the University of Bridgeport. Prenguber's academic background includes operating a naturopathic residency, co-founding an agency that is promoting post-graduate educational opportunities for her profession, the Naturopathic Post-Graduate Association, and past service as the chair of the Council on Naturopathic Medical Education, the US Department of Education-recognized accrediting body for the field. She replaces Beth Pimentel, ND, who left for a long-planned sailing sabbatical with her spouse and child.